We offer a full array of gentleman’s barber services to include haircuts, hot towel shaves and precision beard trims. 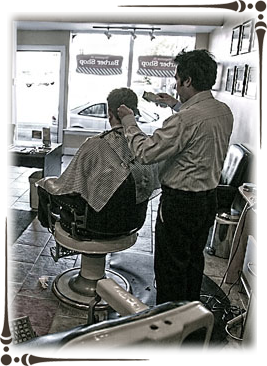 Our barbers are experts in men’s grooming and provide an exceptional experience. You haven’t lived until you’ve experienced the pleasures of a great shave at Magazine St. Barber Shop. Our classic hot towel shave offers up the most luxurious experience a man can have in this day and age. Recline in our vintage barber shop chairs and the closest shave you have ever received awaits you, courtesy of our seasoned barbers.